An easy-to-use interface and custom controls give you unlimited flexibility. Pre-made combinations of settings get you started quickly and create the effect you need without time consuming experimentation. No other cartooning software produces such good results, especially with faces and figures. ToonIt! analyses an image, then reduces its color palette and detects where the important edges are. The edges form outlines that are used to shape and control areas of color. Voila: you’ve been toon’ed. Create stunning cartoon effects that simulate pencil drawings, etchings, brush painting, woodcuts, pen and ink, and more. ToonIt! Photo is a cartoon effects plugin that gives you the ability to turn still images and photographs into unique cartoon creations. ToonIt! gives you precise control over styles, shading and outlines. ToonIt! Photo will get your creative juices flowing ‘cause everyone looks better as a cartoon! Here are some great features of this Adobe Photoshop, Lightroom and Aperture cartoon plugin. ToonIt! Photo is amazing at transforming the details of the human face and form into a believable cartoon. People are typically difficult to ‘toon’ because we know what facial features and expressions should look like. This imagery is where most cartoon filters fall apart. But ToonIt! makes every person look amazing by drawing pleasing large features in the face and body while keeping smaller important details in the eyes and mouth. ToonIt! sets down a flat cel-shaded look with black outlines. 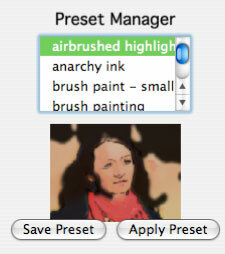 Use the plugin's Preset Manager to customize the cartoon effect with pre-made groups of Effects and Style settings. We’ve shipped a whole bunch of ToonIt! presets to get your cartooning quickly started, and of course you can save your own presets. You can easily create a number of sophisticated looks including Flat Cartoon, Graphic Novel, Comic and Pen & Ink. Each cartoon effect is generated automatically. There are customizable controls in the plugin, but no manual work is needed to achieve results. ToonIt! Photo creates its cartoon effect by combining natural line strokes with shaded colors. The cartooning software keeps the feeling of your subject's expression even though the face has been reduced to a few colors and lines. A series of what? Well, anything. Take multiple images of your family member and create a portrait series. Put different action moves together and make a photo album of your child for your mom. 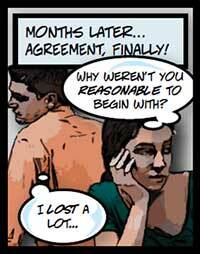 Offer a comic book or graphic novel as a specialty treatment for a client... or just make a cartoon for your mom. Beautiful Variety of Styles: Create a number of sophisticated looks including Flat Cartoon, Graphic Novel, Comic, and Pen & Ink using the 12 different algorithms and dozens of controls. Outlines Only: Unparalleled edge detection creates stunning effects that simulate drawings, etchings, brush painting, and woodcuts. 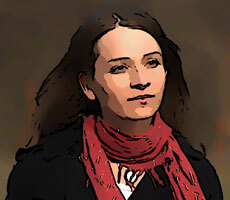 No Hand Masking or Rotoscoping: Each toon effect is generated automatically. While there are customizable controls in the plugin, no manual work is needed to achieve desired results. Customizable Looks: With 50+ parameters available to adjust the plugin results, there are many possible approaches to get the best result for different types of imagery. 64-bit Support: Works with Windows Vista 64-bit (Vista x64) and Photoshop CS4 64-bit. Works In Most Photoshop Modes: Supports RGB, CMYK, and Grayscale in 8-bit, 16-bit and 32-bit. Photoshop and Photoshop Extended CS3, CS4 32-bit (not 64-bit), CS5, CS5.5, CS 6 and CC+.